I’m often asked “how do you do it?”. How do you manage to travel so much, do you have a money tree or even if I have rich parents who pay for my travels around the world. I have always lived by the work hard, play hard lifestyle… and that has been how I have saved (my own) money for travel. Budgeting is a job in itself, but once you get in a routine it can soon become fun to achieve and reset your savings goals. After all, the more you save – the more adventures you can have! Here’s how I’ve learned to cut my expenses and save for travel. Straight off the bat, my golden rule: if you want to save crazy amounts of money for travel, make it your priority. That means saying no to ‘a night at the movies’ or grabbing a Starbucks every day. But it can also mean cutting expenses like a gym membership, wardrobe refreshers, and even switching from expensive to cheaper brands on your supermarket goods (okay, not entirely necessary – you still gotta be happy in your every day life). But for sure, the easiest way to save A LOT of money REALLY quick is to cut all expenses not detrimental to your livelihood. That means you could cut back to the bare necessities: rent, power, food, medical expenses, transport to/from work and even get creative in ways like car pooling… the list is endless. If there’s any secret ingredient you’re waiting for me to uncover, I would have to say that this would be it. I’m extremely fortunate to have lived my life in Australia where work is in abundance and the opportunities to have work have always been there. But of course it is always a choice! Since turning 14 and 9 months (the legal working age in Australia), I have had a part time job. I first started out working in a supermarket putting groceries into bags. It was mundane work, but it paid. I would work after school and on weekends and save the money I earned instead of spending it. Then a few years later I landed a job in hotel reception and began to work on average 30 hours a week. When one of the other hotel receptionist’s quit, I convinced my boss that I could handle double the workload instead of him hiring more staff. Before I knew it I was working up to 60 hours a week alongside my full time university degree, volunteering at the local hospital, still enjoying a semi-social life by attending regular dance + gym classes and travelling in my holidays. It was a crazy year but I managed to save a significant amount of travel funds that I have since used for years. Then came the time in November 2013 where I graduated university and decided “this is it”. 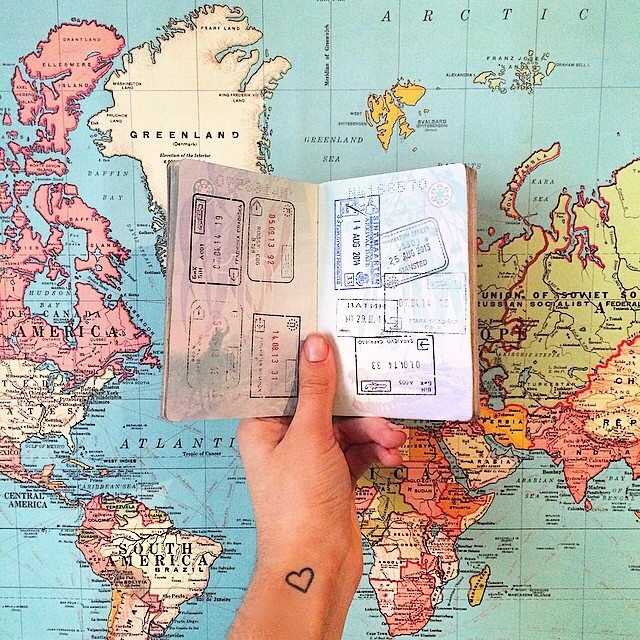 I’m going to travel the world full time. It seemed logical at the time to sell all my things as I wouldn’t be needing them, but I soon realised that this was also a great way to make some extra money. A couple of thousand dollars to be exact! I sold everything I owned and packed all I had left into a suitcase. I sold my car, my bed, my television… you name it. If I could get a decent buck for it, it was out the door. I found the most beneficial way to sell my things was online for the more expensive items and to take whatever I had left to a weekend market with an “Everything Must Go” attitude. Last but not least, its easy to get caught up in reaching your savings goals without considering how you can cut the spending costs! For me the biggest change in my travel expenses occurred when I decided to make travel my career. Now that I’m travel blogging full time as World of Wanderlust I have some great opportunities to travel around the world and be paid to do so – something I have worked at with a lot of persistence and determination! But I still must think of ways to cut my travel expenses in order to stay on the road longer. Some ways I save: Staying in cheaper countries for longer (Asia, Eastern Europe, South America), eating supermarket sandwiches for lunch and sometimes even dinner, meeting super nice people who invite me to stay or come over for dinner, and keeping an eye out for great flight deals by creating alerts. There’s plenty more ways to cut your expenses – what are yours!? Don’t even give the haters any of your energy by responding to their comments. Trust me girl, I’m 100% with you. I’m currently working a MINIMUM of 60 hours a week to save for travel. 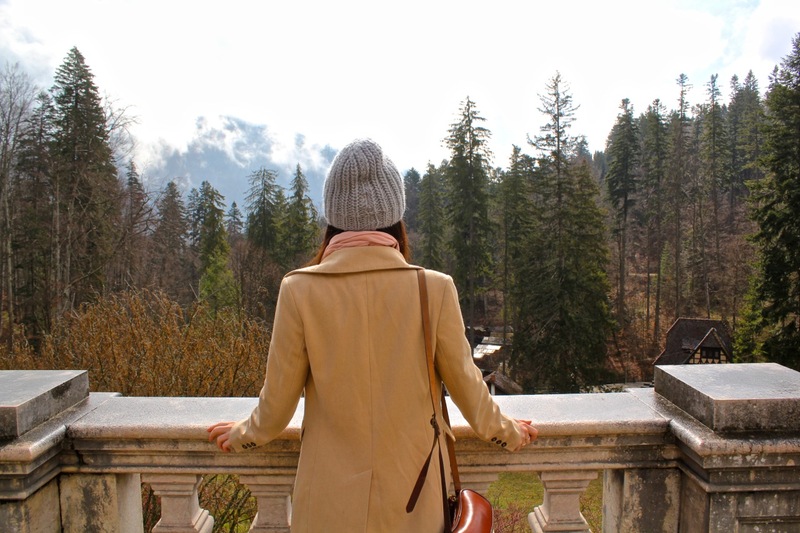 I actually did a post recently (http://bit.ly/1ybzm89) on how I am saving so much money so that I can quit my job and backpack Europe for a year. Your blog has been a huge help in keeping my focused, motivated and adding helpful tips to my mental log. You are a super brave young woman. I am nearly 65 and have never done anywhere near what you have. I always thought it was because I didn’t have the opportunities but after reading your blog for a while I realize I just never made the opportunities. You go Girl! Fab post, and a great set of tips. I’m in epic pre-trip savings mode at the moment, and it’s hugely satisfying watching the digits go up. I definitely need to look more at cheaper places to travel, though. But I kind of have an obsession with islands (don’t ask me why, I just love them) and tough-to-get-to places – both of which tend to be fairly expensive travel destinations! Great advice. Very inspiring. It goes back to the old adage, if you want something badly enough, you’ll find a way to make it happen. Great advice! People who want it enough, will listen. Something I always tell people is to work backwards. I will sit down and work out how much I’ll need for a trip (flights, accommodation, insurance, food, travel and spending), decide on dates, then work out how many weeks (or pay checks) I have until departure day. That way you have the amount you must save each week to enjoy your holiday and are completely accountable and aware! Beautifully written and inspirational as always! I can’t wait till the day comes where I can just leave home and go travelling, but first gotta finish my education – annoying but essential part of life i guess! Work hard, play hard is right lady! I took on two (and a half) jobs and eliminated a lot of “fun expenses” in order to travel. And guess what? I never regretted those decisions when I was living abroad. Not one litttttle bit! Great list Brooke! It’s odd that people don’t think you work 60 hours a week. Hard work pays off, right? It’s not like traveling around the globe is free; it takes dedication & time & brutal budgeting. There’s not a super simple way to save unless you’re already a millionaire. Thank you for these honest tips — no more craft beers with the friends. I could easily be saving more. I consider myself to be a pretty frugal person, but there are definitely areas where I can cut back (like Amazon after a couple of drinks–eep!). The thing that really struck a chord with me is making it a challenge. This is what I’ve decided to do for my upcoming Iceland trip–I’ll be couchsurfing, eating cheap food and shopping at grocery stores, taking advantage of free tours and park admissions, and pitching in for gar with ride shares as a form of transportation. It makes it fun to see where you can really get down to the bare bones of things. I have to say I can’t imagine how you worked 60 hours a week and went to school and did other activities on top of that! Kudos. Seriously. I work 50 hours per week and participate in various activities outside of work, plus social things, but I can’t imagine full-time university on top of it! Very impressive. It just shows what hard work can do! Great and useful post:) I have try to get part time job,but it´s really difficult in my country and city, so saving without incomes is kind of hard, but i still try to save for travelling. Although it seems unbelievable for some people, I also believe that you can do a lot if your motivation is right! Great quote from Jefferson btw. I really like your tip ‘sell all your things’, we live in such a consumption society, we all have so much stuff! Too much even.. I try to cut on a couple of things and I have just found a part time job that I can easily handle online. This is so convenient as a student! I regret the fact that I have never really worked while in high school as my parents didn’t oblige me to (and as a teen you don’t necessarily think about that point). Love the tip to sell some of my things in the internet – I certainly have items that I don’t need. All of these are great tips! I did the exact same minus selling all of my possessions. Great post! Really great tips and very inspirational. Sometimes, you gotta do whatever it takes to reach your goal – in your case, travel full time. A 40-60 hour working week is kind of normal for us Aussies nowadays anyway! (haha) My question is, how did you manage to get so much traffic to your blog in such a short time? That’s amazing! Her way of living right now is basically as an expat. We moved to another country and sold everything as well. But we rent a fully-furnished apartment and have no need for a car since we live in a city where it’s the norm not to have a car. So, for right now, and to get money she needed to start her lifestyle and at her age, it works. As I said, we did it and have no regrets. It looks like it was basically a starter fund for her, so she sold all those things but will come back with much more money when she’ll settle down. Great tips. But cutting your medical bills, rent and power doesn’t work for me. The healthcare system in Holland is obligated and very expensive, just as rent and power. I live on my own and I can’t cut that expense. Excellent tips! I definitely going into brutal budgeting mode when I’ve got a holiday coming up! Great list of interesting tips.I will definitely been using your tips for my upcoming trips. Just read what you wrote. I started budgeting last year. I decided to cut on the daily sandwich. Every month I saved tons of euros. I also bought a Kakebo. It helped me to be more careful with my expenses. It also made me think on my consumption. Thanks to working and sticking to my goal. I saved hundreds of euros. I´m proud I achieved this goal because before I used to be the kind of girl who didn´t take care of the money I had. And yes I believe that when you want to save money, you´ve got to work double. Thank you anyway for your article. You can do lots of things to eat cheaply. Shop at the supermarket. We always carry plastic plates and bowls. Buy breakfast cereal and usually have a good lunch and then a snack for dinner. I also chase frequent flyer points through credit cards. Lots have bonus points available. I hardly ever buy a air ticket now. These tips are amazing and require so much resilience and sticking to goals! I am constantly trying to budget, but reading how hard you worked was very inspiring to me. Thank you! Great post! It can be so hard to budget and cut back when all your friends are splurging on materialistic items, but it pays off when you are on the other side of the world exploring new terrain and making life long memories! For my travels and before I made the move to Canada I gave myself a budget of $100 p/w (not including phone bill and petrol) and it really made a difference! If at the end of the week I had some money leftover from that $100, it was tempting to just spend it but instead I just added the difference to that to make $100 for the following week, this way making sure that I NEVER went over my set amount. If you want something bad enough you will do what you can to achieve it. My boyfriend and I have been travelling around Australia for three years. We saved hard for a year and had a budget, we saved $20,000 au. We knew where all our money was going week to week in our budget, but we also budgeted some spending money to be realistic. We didn’t go to parties with friends or go away on weekends but did things like have bbqs at the beach. We would always write a shopping list and shopped at Aldi. We bought meat in bulk and split it up into portions and froze it. We made homemade pizzas rather than ordering out. We have worked along the way to save for the next leg. It helps if you’ve got skills or qualifications beforehand that are in demand, but also being flexible and taking opportunities you might not normally consider. Lastly the people you meet can also open opportunities! There are heaps of way to travel cheap! Cruising is a good especially in Europe the places that only need a day to see the big stuff we did Croatia as flights were so spency. 500 for a week to sees many great locations, eat like kings, lots of entertainment, cable and good accom. Stay in cheap cities when you wanna chill and recoup or stay outside the city. Talk to ppl we made friends with head of concierge at the Burj and we got a full tour and we met the owner of our hotel in Miami on our plane so we got a free meal and drinks. Read reviews, shop around, price beat. Buy lonely planets etc and do the tours yourself. If you wanna splurge Eat at fancy places for lunch its cheaper. Talk to security! We made friends while waiting to see the sistine chapel they told us to exit the chapel on the right. Im guessing it’s for your groups but we went straight into the Vatican no fee no waiting!You can book lunch at a 5 star resort and enjoy the facilities most of the time I’ve done that plenty of times. Predrink!!!! Eat were the local do. Use Maccas free wifi and Starbucks. Stand near guides when a place is packed and listen in. Clear Internet of cookies so they don’t hike the prices up. Book in advance get a place with a good breaky ( usually the cheapest have more perks internet, breakie, coffee tea. Check were the contiki groups stay often the franchise has sourced a pretty good location. Stay near public transport, look for places that are easy to acess an airport or have free transfers. Research!!!!!! Go to ports in the Caribbean , cruise-ships attract cheap taxi tours . Or ebook euro rail in cheap countries some places have way better prices so if you know dates book it.Travel in groups when you can because meeting others is fun and usually it’s cheaper to do so. If you really really want something though you should splurge otherwise you’ll regret it forever! Great tips and ideas. I’m already starting to put money saving ideas into place this year as we move closer to the time when we will be able to pack up and travel around Australia for a few years. its all very well selling all your things but that is false economy. At some stage you will need those things again and will have to pay for them all over again. Travelling isnt a once off thing, you will do it for the rest of your life. Oh… The first section reminds me of MY expat travel. I tried to save money in daily lives for sightseeing. I used to buy fresh foods for meals and didn’t buy unnecessary things including bus tickets, etc. As a result, I got some money for sightseeing and lost some kilograms! I succeeded in dieting without any dieting methods while I didn’t intend to!! So travel plans brings us good health. As I work towards saving money for travel I find asking myself if the purchase I want to make is really worth it, or if I can forgo it and instead put that money into savings for my next adventure! It has definitely helped me save more money! Good post! It’s so true that once you start comparing things you pay for and buy at home vs what it gets you when you’re away you suddenly stop spending as much money and start saving it! I’m in South america and I’m making a huge effort to cook food in the hostel as they have kitchens and this is costing me less than half than if I would eat out (plus making sure I eat healthier options). Also alcohol is a huge thing. I like the odd drink but it soon adds up if you drink every night with every meal! Great tips!! I’ve started to look into cards that give travel points. I have a lot to learn! For a young lady, you certainly are very savvy about financial issues. Your suggestions are a great way to save money for anything you are wanting. My daughter stripped down her expenses for 18 months and was able to pay cash for her $20,000 wedding. Your parents did a good job of teaching you about figuring out what you wanted and how to come up with a plan that would work for you! Well done!! I think people don’t realize how much money they are spending! Some of my friends are surprised that I travel to other countries. I live at home, don’t have a car, I buy clothes ONLY when necessary, and have some part-time jobs that allow me to save money to travel. But yes, we people living in countries with good wages (USA, Canada, AUS, NZ, Western Europe) are lucky because we have easier access to traveling in terms of cost and opportunities. Great tips Brooke, thanks for sharing! I can say first hand that these tips really do work– I did a lot of the same things to afford my travel! You are so sweet Brooke, great idea! how do you get paid for blogging? Excuse my ignorance. I’m not hugely savvy in that area. Thanks for the tips! Saving for my next trip back to Bosnia and other parts of Europe!